The myth that “migrants damage economies”. The protection of public health and cost-savings are often cited as reasons to deny migrants entry, restrict access to healthcare, or detain people unlawfully. Yet, as the report lays out (with new international data and analysis), the available evidence does not support the most common myths about migration and health. Furthermore, these myths ignore the important contribution of migration to global economies. Scroll down to read a fact sheet entitled. “Myths about migration and health not supported by the available evidence”. The Commission strongly advocates that migration urgently be treated as a core determinant of health and well-being and that it be addressed as a global health priority of the 21st century. Migration and global health are both defining issues of our time, according to the Commission. How the world addresses human mobility will determine public health and social cohesion for decades to come. The Commission is the result of a two-year project led by 20 experts from 13 countries – including South Africa – and represents the most comprehensive review of the available evidence to date. The report, including its recommendations to improve the public health response to migration, was launched on 8 December at the UN Intergovernmental Conference to adopt the Global Compact for safe, orderly and regular migration, in Marrakech. 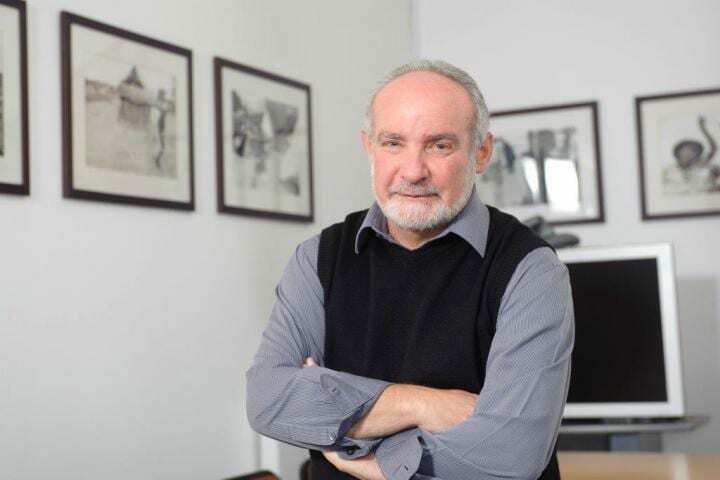 Wits University Professor Steve Tollman, director and co-founder of the MRC/Wits Agincourt Unit, serves as a commissioner. He is one of just two African country commissioners along with Dr Nyovani Madise, Director of Research and Development Policy and Head of the Malawi Office of the African Institute for Development Policy (AFIDEP). “The report is a systematic assessment of evidence and understanding about migration, based on already published work,” says Tollman, who co-authored a paper in the report, “Global patterns of mortality in international migrants: a systematic review and meta-analysis”. The South African launch of the UCL-Lancet report is scheduled for March 2019. “In the South African context, we have a massive gap in understanding internal migration. There are profound data gaps in an area where opinion, perception, and political advantage tend to take precedence,” says Tollman. The critical question is how labour migrants access good public healthcare wherever they are. This is consistent with South Africa’s move towards the National Health Insurance and the promotion of public health. “Clearly, we want to take care of our citizens but clearly, we want to take care of others who cared for us pre-1990s. Resources are finite but the answer is simply not to reject those who are not ‘us’. Universal health coverage does not mean, ‘but not if you’re not one of us’,” says Tollman. Are high-income countries being overwhelmed by migrants? Discussions about migration often focus on rising numbers of people crossing international borders and overwhelming high-income countries, but changes in migration are more complex. Although international migration receives the most political and public attention, most movement globally is internal migration. A quarter of all migrants (an estimated 258 million people) are international migrants. In the past four decades, the percentage of the world’s population that is considered an international migrant has changed very little – from 2.9% in 1990 to 3.4% in 2017 globally. Most international migrants are labour migrants (approximately 65%) – and a much smaller proportion are refugees and asylum seekers. While high-income countries have seen a greater rise in the percentage of international migrants (from 7.6% in 1990 to 13.4% in 2017), they are more likely to be students who pay for their education or labour migrants who are net contributors to the economy. Refugees make up a larger proportion of the total population in low-income countries compared to high-income countries (0.7% vs 0.2%). An overwhelming consensus of evidence exists on the positive economic benefits of migration, which is insufficiently acknowledged. In advanced economies, each 1% increase in migrants in the adult population increases the gross domestic product per person by up to 2%. Additionally, migration contributes to global wealth distribution. Migrants sent an estimated US$613 billion to their families at origin in 2017. Approximately three quarters of these remittances are to low- and middle-income countries – an amount three times larger than official development assistance. Migrants constitute a substantial proportion of the health care workforce in many high-income countries. Rather than being a burden, migrants are more likely to bolster services by providing medical care, teaching children, caring for older people, and supporting understaffed services. In the UK, 37% of doctors received their medical qualification in another country. A new, comprehensive systematic review and meta-analysis concludes that international migrants in high-income countries have lower rates of mortality compared to general populations across the majority of disease categories. This study used mortality estimates on more than 15.2 million migrants from 92 countries and found that international migrants had lower rates of deaths for cardiovascular, digestive, endocrine, neoplasms, nervous and respiratory diseases, mental and behavioural disorders and injuries than people in the general population in the receiving country. There was no evidence of a difference for blood, genitourinary, or musculoskeletal disorders. The only two exceptions were for infections such as viral hepatitis, tuberculosis, and HIV, and external causes, such as assault, where migrants had increased rates of mortality. However, as the report also highlights, several studies (e.g., on tuberculosis) have shown that the risk of transmission of infections is elevated only within migrant communities, and is negligible in host populations. The findings are most likely to apply to international migrants in high income countries who are studying, working, or have joined family members in these countries. Vulnerable groups, such as refugees, asylum seekers, and undocumented migrants, may have different health needs, but, as the authors note, rather than form policies based on exceptions, evidence about the health benefits of migration should be at the forefront of decisions. The stereotype of migrants as disease carriers is perhaps one of the most prevalent, and the most harmful. However, there is no systematic association between migration and importation of infectious diseases, and the evidence shows that the risk of transmission from migrating populations to host populations is generally low. Studies on tuberculosis suggest that the risk of transmission is elevated within migrant households and communities, but not in host populations. Migrants may come from regions with higher disease burden, especially if they come from regions of conflict, with weak public health systems. However, illness and infection can also be acquired or during transit – for example, air travel can facilitate the rapid spread of infection. Indeed, mainly international travel, tourism, and the movement of livestock, rather than migration drove recent examples of spread of resistant pathogens. Strong public health systems are needed to prevent outbreaks of disease, whether associated with migration or not. Populist rhetoric often claims that migrants have many more children than host populations. The Commission collates data from several long-term studies that suggest the birth rates among migrants are barely at the level of population replacement (2.1 births per woman) and often falling. A study of six European countries found that fertility rates among migrant women were, in general, lower than host populations. Studies in India and Ethiopia, for example, have shown that internal migrants are more likely to use contraception than host populations. Ensuring access to services is key to ensuring the sexual and reproductive healthcare of migrant women and girls. Unfounded myths about migration have wide-ranging impacts on how migrants are treated within society. Despite evidence that migrants have positive health benefit to societies, many men and women who migrate are subjected to laws, restrictions, and discrimination that put them at risk of ill health. Protection of the public is often invoked as a reason for the denial of entry, detention or deportation, but too often, these policies leave migrants facing worse health situations. Restricting entry based on health status is increasingly common. In Australia, permanent residency application can be rejected because the applicant has a health condition – the five most common reasons were intellectual or functional impairment, HIV, cancer and renal disease. Thirty-five countries have imposed some form of travel ban on people with HIV. Too often, policies are not based on the overall contribution of migrants to host societies, but only in terms of costs to the state. Restrictions on entry or deportation for diseases with low risk of casual transmission are impermissible on both public health and human rights grounds. States are increasingly treating unauthorised border crossings as a criminal offence, leading to detention, at times indefinitely. Indefinite offshore detention of migrants on Nauru Island was introduced as an immigration policy in Australia in 2013, and the USA recently announced a zero-tolerance policy, resulting in migrants arrested or jailed and children separated from their parents. Detention poses clear violations of international law, and findings from a systematic review of 38 studies shows that detention is associated with negative health outcomes, especially mental health.